In mobile (tablet is included) era REST eclipsed SOAP in terms of web services. And, if we see and analyse in details both architectures (respectively architecture styles), and get environment constraints get just data what I request instead of “two hundred pages manual what I will get” is great, practical and useful. Imagine a mobile user using mobile data to get ten most popular books and consuming a SOAP service, just getting WSDL will push that month’s data invoice to limits. 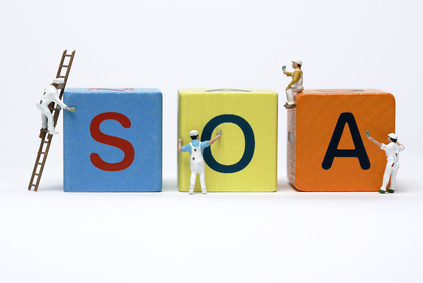 But coming from SOAP, with a commodity and many things defined for years, REST APIs have open a lot of debates in almost all aspects REST tends to resolve, make solution. So, after all years in designing (and consuming a lot) REST APIs I did a list of things I consider an ideal rest api design should contain. Every Web API must support several media types but two are considered un-avoided, XML and JSON. Because of a latest momentum of HTTP programming and following standards JSON tends to be the most preferred and for this reason should unequivocally be default media type. But XML has its own place, because of its robustness to present very complex scenarios and history (SOAP), if we can consider like this. We all know (and feel) we’re living in time that’s going fast, and even faster every single day. And as part of this planet I was indeed in need to forcibly find ways to do things faster (like be up2date with technology), especially reading (books) and watching (educational videos). I need reading books because of programming, and according to my opinion if you don’t read you’re out, but if you don’t read at least 5-7 books per year I doubt in your ego to be good in this occupation, sorry, passion, and 10-12 would be ideally to keep you in good position. And as we see, today, education is mostly spread through lectures, videos or courses online. Fortunately we have tons of programs or companies with huge stack of video content that put you in position to master something in days maybe in hours (think for iTunes University, Coursera, Khan Academy or many many others). In this short post I am going to write for two techniques I am trying to master to do things faster. There are a lot of times when I am asked to complete a stack of technologies for building a Service Oriented Applications. And of course, like for everything, also for this topic there are a lot of answers (and opinions). Using this post I want to express my opinion based in my experience (through years in building medium-to-large applications for public and private sector), what are pieces to combine a SOA lego. So, here I am going to explain what are technologies that could be used to build a SOA application, of course Windows environment friendly. But, this post, is not attempting to give a complete tech stack for this type of apps.